Sony PlayStation, in partnership with Numskull, has revealed an official headstand for the PlayStation VR headset. The headset is constructed from obsidian and comes with an adjustable metallic base and cable management system. The Official Headstand for PlayStation VR can support the headset at any height between 38-48 cm and weighs in at 2.3kg, meaning that it isn't top heavy and easily knocked over. Engraved Numskull and PlayStation VR logos complete the package. 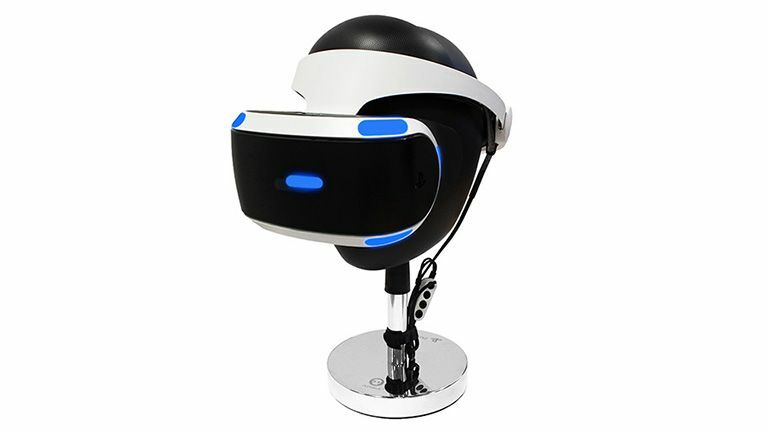 For more information about the Official Sony VR Headset Stand then check out its official website. Equally, if you're looking for information about Sony's PlayStation VR headset then check out T3.com's official review. Sony has re-named Project Morpheus to PlayStation VR. It may sound boring, but it's too important for Sony to risk being cool.